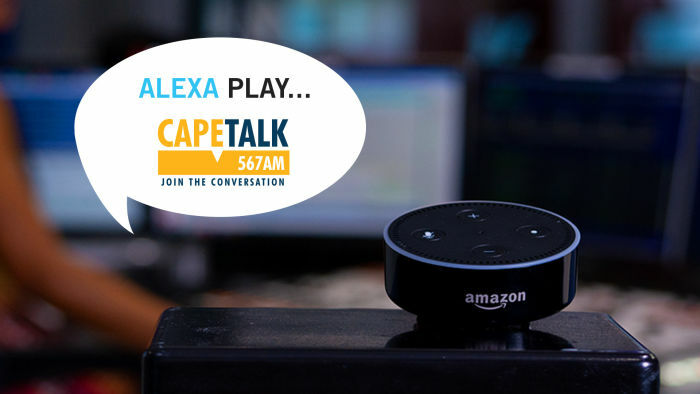 Digital head at Primedia Broadcasting Allan Kent chats to Kieno Kammies about CapeTalk now available on Amazon Alexa. Amazon Echo is a speaker system that you can speak to which understands what you say and responds to your commands. The trigger word to listen and respond is 'Alexa', explains Kent. It works in a similar way to apps on your phone like Siri and OK Google. In the UK and Europe, it has become increasingly a fast way to interact with the internet and content in general. For example, it knows where I work so at home I can say, 'how long does it take to get to work?' - and it knows where I am and where I work and it just tells me how long it takes in the traffic right now. He explains the Amazon Alexa skill on Amazon Echo is similar to your phone or apps on your phone. Echo has what is called 'skills'...and we have built skills for each of our radio stations and Eyewitness News. This makes it far more convenient for you to get to CapeTalk without having to find your way through other third-party apps. You can ask the skill to play the live radio such as CapeTalk, or get the latest podcasts. In future iterations, we are looking at you being able to send messages to the radio...They will be able to just ask Alexa to send you a message and it will transcribe their audio voice message and send it to the show producers via email. It has an important implication for traditional radio listening as new vehicles have built-in voice assistance. Because you want a hands-free experience when you are driving your car. This new technology will enable CapeTalk listeners to tune in to a hands-free voice assisted environment. Plans are afoot to migrate across to Google Home.